Video: Donald Trump’s USA: Global Empire or Fortress America? Trump also benefits from the fact that nearly all neo-conservatives have endorsed the Hillary candidacy, apparently convinced her victory was all but inevitable. Being on the losing side, they have eliminated themselves from consideration for positions within the Trump Administration, and the early personnel choices reflect it. The early pick of the former CIA Director James Woolsey is indicative of the gradual shift toward the Fortress America model. While Woolsey did support the invasion of Iraq in 2003, he notably refrained from calling for a “no-fly zone” over Syria and he is also in favor of expanding US energy production in order to reduce the dependence on Middle Eastern oil, which is a prerequisite for the US political and military disengagement from the region. Another prominent figure in the Trump camp is General Michael Flynn who, like Woolsey, comes from the intelligence community, prioritizes the Islamist threat, and, like Woolsey, is a former Democrat who can’t find a home in the Democratic Party that has been taken over by the neo-conservatives. Tellingly, Flynn attended a high-profile dinner in Moscow in 2015, and delivered a speech at the 2016 GOP convention from which the anti-Russian tone of the Democratic campaign were missing. One also must not forget that the most important official in the Trump Administration will be Vice President Mike Pence whose primary focus is domestic US politics, with an eye on creating jobs and reducing the size of the government. That is not to say any of them are in principle opposed to “global empire,” but with one caveat: the neocons seem committed no matter what the cost and risk, while Trump’s people have in the past supported various trade agreements, invasions, and international confrontations, including Iraq, Syria, and Ukraine, as long as the cost was low. Whereas the neocons can be fairly described as psychologically disturbed, Trump’s conservatives are cost-and-benefit pragmatists. A decade ago, it did seem the “global empire” had no adverse consequences. Not anymore. Iraq, Libya, Yemen, and Syria have only imposed costs on the US, with no benefits in sight. Millions of migrants and refugees, dislodged by a combination of free trade policies and color revolutions, are a political problem for both EU and Europe. Last but not least, Russia’s political and military responses to NATO aggression against Ukraine and Syria, and its ability to withstand, and even benefit from, Western economic pressure, makes the prospect of pursuing “global empire” policies increasingly costly and risky, while the demonstrated effectiveness of Russian policies make Russia appear as an attractive potential ally. 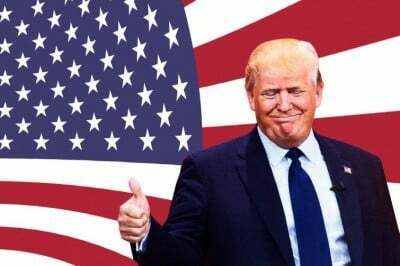 Trump’s election was hopefully the event necessary to tip the scales toward the “Fortress America” strategy relying on a combination of strengthening US borders, making the country less dependent on international trade and resources, and reducing the cost of international engagements.